Previous: Make Your Own Cashew Milk! Want to have a FAB day? Enter, this feel-good, healthy, satisfying, loaded-with-nutrients green smoothie! Drinking this creamy bev in the morning is one of my favorite ways to kick off the day. It sets you on the right foot and boosts you up to take on the day. We got this!! I know I know, from the pictures…it’s not exactly green. LOL That’s because the color of the blueberries overtakes the green spinach color. Plus there’s no added sugar. It’s dairy-free, gluten-free, soy-free. And all natural ingredients. Remember that cashew milk I made yesterday?? 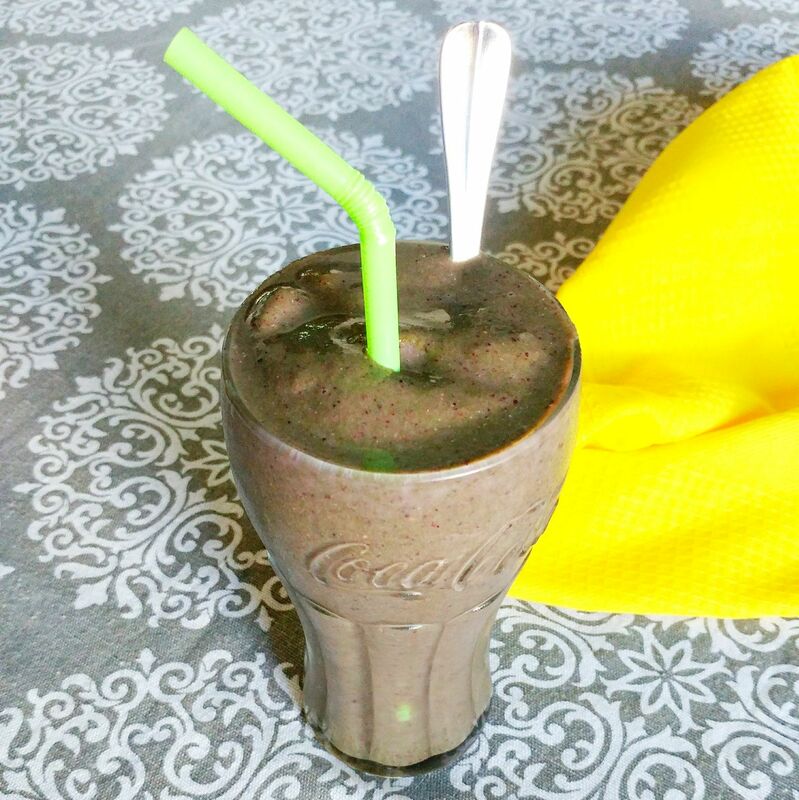 I used that in this smoothie and it made it EXTRA CREAMY!! Feel free to do the same, or use you favorite non-dairy milk. Speaking of using your favorites, this recipe can be adapted to what YOU like. Because this is about making a smoothie that makes you FEEL FABULOUS!! Don’t like strawberries? Sub in raspberries or more blueberries, or even mango! Have peaches, cherries, pineapple, or pretty much any other fruit in the house? Toss that in! Don’t have almond butter? Use peanut butter or any nut butter! Have a favorite protein powder? Feel free to add that in too! OK I get it, you’re super busy, so I’ll get right to it here 🙂 Green smoothie, here we go! This recipe makes 2-3 smoothie servings. 2) Add in the remaining ingredients. Blend-er-up until you have a smooth creamy smoothie texture! What’s your favorite way to make a smoothie?!! I’d love to hear your favs!! !